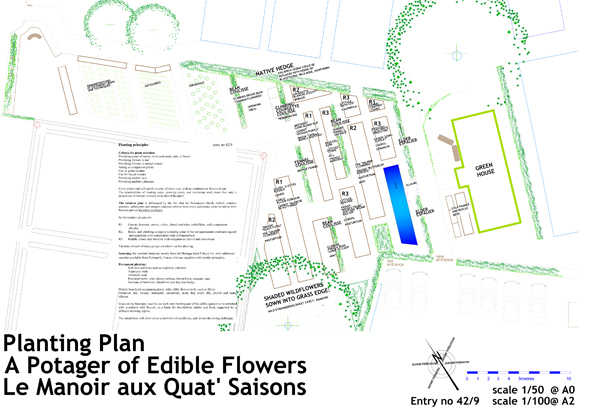 In June 2014 we were shortlisted to create the new Heritage Vegetable Garden for Raymond Blanc at Le Manoir aux Quatr' Saisons. 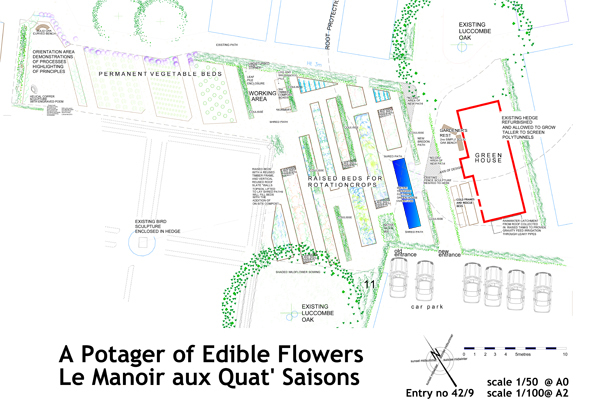 A Garden of Edible Flowers was the idea behind the design, as there are many more flowers which are edible than are commonly used. Some like nasturtium and violet are delicious. Some are a bit dull to taste, but very pretty as garnish!